Your brain works hard to help understand your fellow person – no matter how different they may be. According to a new study from USC, even failing to possess a full complement of limbs will not stop your brain from understanding what it is like for someone else to experience pain in one of them. It may, however, change the way your brain does so. In a paper published online by Cerebral Cortex, USC researcher Lisa Aziz-Zadeh furthered her ongoing work in mapping out the way the brain generates empathy, even for those who differ physically from themselves. According to Aziz-Zadeh’s findings, empathy for someone to whom you can directly relate – for example, because that person is experiencing pain in a limb that you possess – is mostly generated by the intuitive, sensory-motor parts of the brain. However, empathy for someone to whom you cannot directly relate relies more on the rationalizing part of the brain. 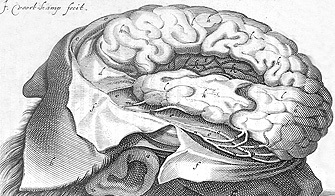 Though they are engaged to differing degrees depending on the circumstance, it appears that both the intuitive and rationalizing parts of the brain work in tandem to create the sensation of empathy, said Aziz-Zadeh, assistant professor at the Brain and Creativity Institute and the USC Division of Occupational Science and Occupational Therapy. “People do it automatically,” she said. In an experiment, Aziz-Zadeh and a team from USC showed videos of tasks being performed by hands, feet and a mouth to a woman who had been born without arms or legs and also to a group of 13 typically developed women. Videos showed activities such as a mouth eating and a hand grasping an object. Researchers also showed videos of pain, in the form of an injection, being inflicted on parts of the body. In an additional finding, Aziz-Zadeh discovered that when the congenital amputee viewed videos of tasks being performed that she also could perform but using body parts that she did not have, the sensory-motor parts of her brain were still strongly engaged. For example, the participant can hold objects, but uses a stump in conjunction with her chin to do so rather than a hand. If the goal of the action was impossible for her, then another set of brain regions involved in deductive reasoning also were activated. Aziz-Zadeh’s research was funded by the Brain and Creativity Institute, the Division of Occupational Science and Occupational Therapy at the Herman Ostrow School of Dentistry of USC, the National Science Foundation Graduate Research Fellowship and the USC Provost’s Ph.D. Fellowship.